King Island is located in Bass Strait - a notorious stretch of water between Victoria and Tasmania. This small island is home to less than 2000 people - its main industries are fishing (cray and abalone), beef, wool, kelp and most famously dairying. The environment is quite pristine - pastures are pollution and chemical free. No feed supplements or growth additives are used. It's also home to that most well-known dairy - King Island Dairy. The first thing that you will notice, even before opening the box is the definite aroma of mushrooms - a very pleasant aroma. 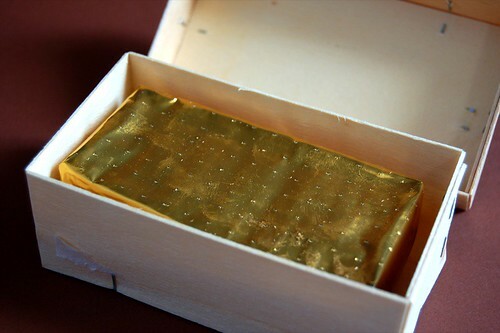 Opening the box, you'll find your golden ingot of sorts - well, it is a gold wrapped bar. As you unwrap it's almost like "Charlie and the Chocolate Factory", no lucky ticket but there's an increase in that mushroom scent. 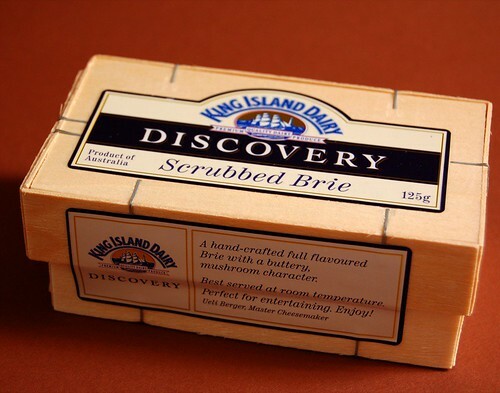 You might be asking what exactly is a "scrubbed brie"? 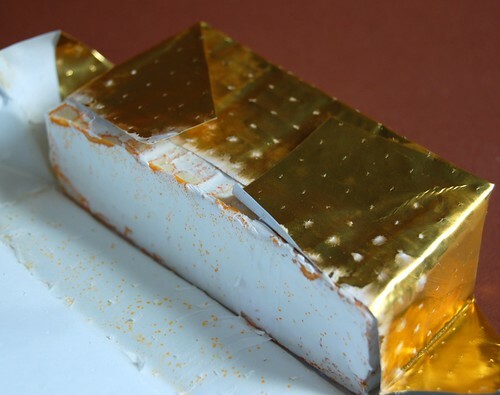 It's a cows milk Brie, made using traditional French techniques that is wrapped Brevi Linens then hand scrubbed to give it those earthy, mushroom aromas. 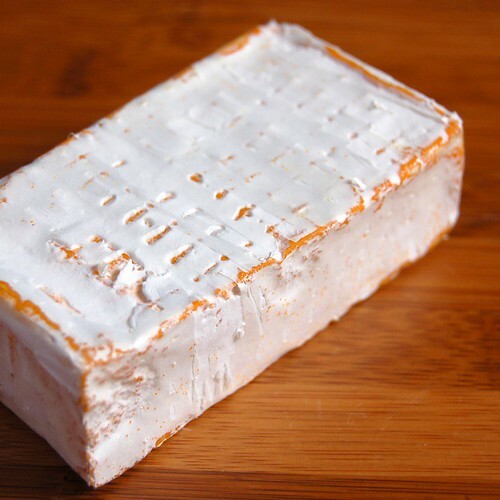 It has a distinctive saffron skin - it's not as intense as a washed rind cheese and would be a good introduction to this genre of cheese. 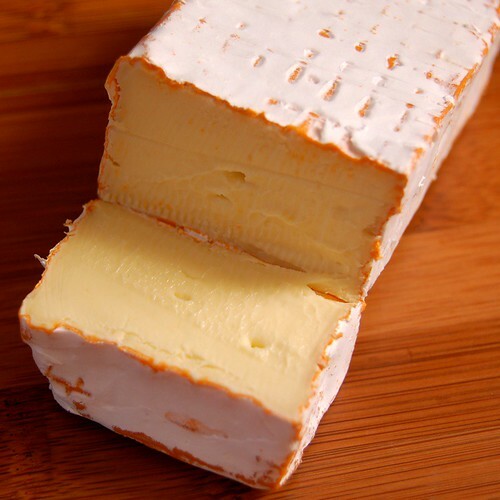 As you cut through you'll notice is soft texture, it's almost butter like colouring. Taste wise, it's soft and creamy with delicate mushroom tones. It is best served at room temperature - you'll notice that it would become softer and have that wonderful gooey characteristic. 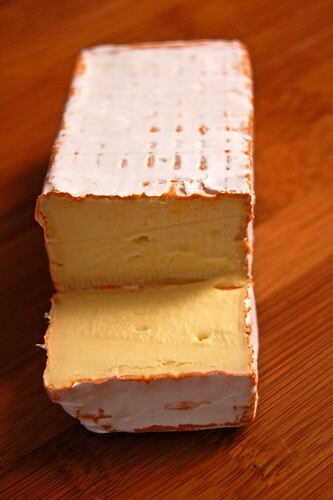 It really is a great cheese for a cheese platter - it's a bit unusual but it should be something everyone would enjoy.